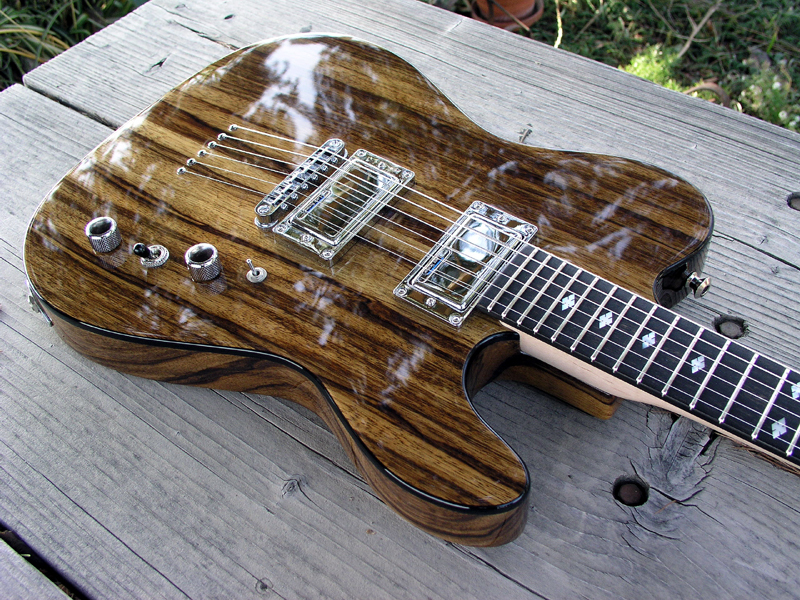 When you order a custom bolt-on guitar or bass, you get to choose the woods and specs for the complete instrument. Neck woods, body woods, finger board, head cap, stringers……etc. Also, you can choose whatever bridge, machine heads, pickups and electronics you want. We will guide you through the selection process to make sure you get the best guitar possible. Two piece laminated Mahogany or Maple neck. Rosewood finger board with diamond inlays and Rosewood head cap. (As long as it’s available/legal). 1 vol, 1 tone, pickup selector switch. Paint: Clear, Black or trans color of your choice. Any changes in these specs could create an up-charge. The SS T guitar you see on this page is not for sale. It is a representation of what you can order. This guitar already belongs to a proud Moser owner.